May 13, 2013 | David S. Maldow, Esq. 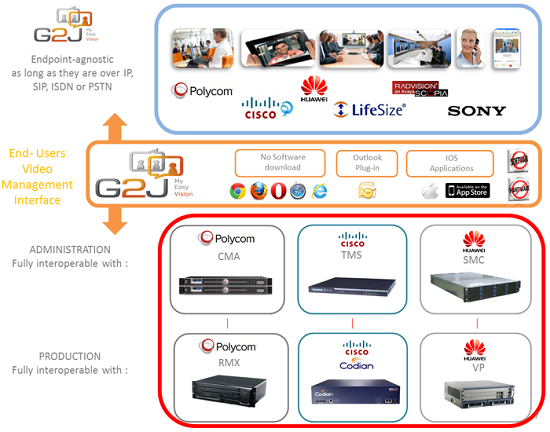 G2J is a videoconferencing managed service provider, headquartered in Paris with a growing global presence. I recently was invited to meet with Jose Jacques-Gustave (CEO) and Geoffrey Vande Weerdt (Head of The Americas & Global Wholesale Alliances). Unfortunately I wasn't able to use this as an excuse for a Paris vacation, as we were able to meet in their Miami offices. But it was still a great opportunity for me to learn that there is a lot more than meets the eye when it comes to G2J, and to find out why they are so excited about their MyEasyVision offering. 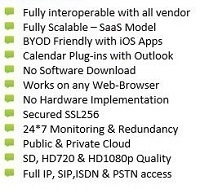 North American VCMSPs (videoconferencing managed service providers) may be looking at G2J with a wary eye. 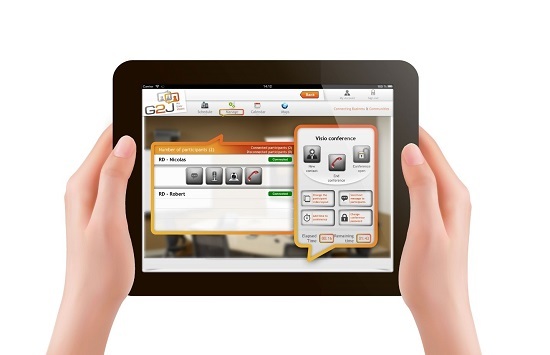 After all, G2J is already managing over 300,000 end users in over 102 countries. They have hundreds of customers, but those of us in the know realize that their listed customers are only a small part of the story, as some of the biggest MSPs in Europe (which I am not at liberty to disclose) are white-labeling G2J VC managed services. If G2J were to make a move in the U.S. market, they could be a force to reckon with. One particularly powerful tool in the G2J lineup is MyEasyVision. Most video management solutions fall into two categories. Customer facing solutions are user friendly, but lack power and functionality. On the other hand, solutions designed for service providers are very powerful, but can be difficult to work with. In fact, IT staff often are required to take classes and obtain certification to use these solutions. MyEasyVision is the best of both worlds, a fully features MSP ready solution, with ease of use allowing customers to directly access their accounts and manage their own videoconferences. 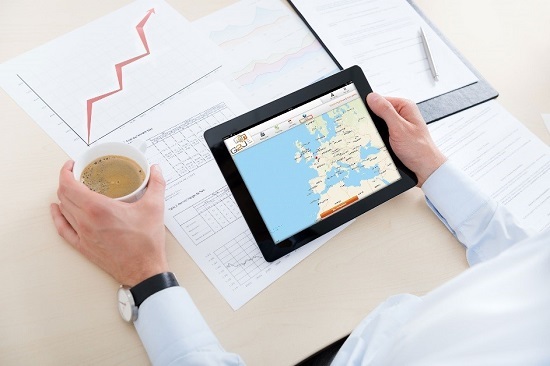 MyEasyVision is a fully featured, service provider solution. In fact, it was originally developed internally by G2J for use in their own VNOCs (video network operating centers). It worked so well for them that they decided to productize it and make it available to other service providers. American MSPs looking to follow G2J's model and match their success can now literally use the very same internal tools that work so well for G2J. In fact, G2J suggest providers really leverage this benefit, and empower their customers by "pushing MyEasyVision down to the users". Even things as simple as allowing users to directly schedule their own meetings can greatly encourage adoption. Encouraging adoption should really be the key goal for all parties involved. More usage means that customers are getting more ROI on their VC investments. More usage also increases their need for more video managed services, which is obviously good news for the MSPs. While MyEasyVision isn't the only customer facing management solution on the market, it is notable for being completely cloud hosted, whereas others may require installation on a local server. It is also, as discussed before, exceptionally powerful as it was originally designed as an internal VNOC tool. American VCMSPs still using the clunky management tools of the past, and wanting to empower their users while encouraging greater adoption, should take a close look at the MyEasyVision solution.�Service providers interested in learning more should contact Geoffrey Vande Weerdt directly at�[email protected]�or +1 (888) 832-7982. David Maldow, Esq. is a visual collaboration technologist and analyst with the Human Productivity Lab and an associate editor at Telepresence Options. David has extensive expertise in testing, evaluating, and explaining telepresence and other visual collaboration / rich media solutions. David is focused on providing third-party independent analysis and opinion of these technologies and helping end users better secure their visual collaboration environments. You can follow David on Twitter and Google+. In fact, G2J suggest providers really leverage this benefit, and empower their customers by \"pushing MyEasyVision down to the users\". Even things as simple as allowing users to directly schedule their own meetings can greatly encourage adoption. Encouraging adoption should really be the key goal for all parties involved. More usage means that customers are getting more ROI on their VC investments. More usage also increases their need for more video managed services, which is obviously good news for the MSPs.